Words Of Others | Holy Sheepdip! I don’t know the woman who wrote this, but I am glad to have read it. Source: Understanding Yugoslavia: Why did it break up in the 1990s? I have prayed about this post for a while before putting it out into the world. Since the ruling in New York, I’ve seen a lot of posts about abortion on my social feeds. I’m not going to debate the morality of abortion, because at the end of the day I am pro-life, but I do want to point out that when the crowd was ready to stone the woman, Jesus didn’t join them just because they were on the right side of the issue. Instead, He stood against the crowd and invited them to self-reflect. The following is from a plaque dedicated to the grandfather of my friend Martha. I never met her grandfather, Sid Rutherford, of Orono, Ontario, Canada, but reading about him, he sounds like someone I’d love to have known. Maybe others can relate. In pursuit of his own curious mind, Sid could often be found outdoors in the fields and on forest trails in this area hiking, cross country skiing, observing. He felt a strong civic duty and served on many boards, committees, and advocacy groups to protect Orono as a village within its unique landscape for future generations. It was important to him to stand up, be a voice, and make a difference. After his death on Feb 15, 1992, the community, along with his family, created this Woods Walk to honour his memory. 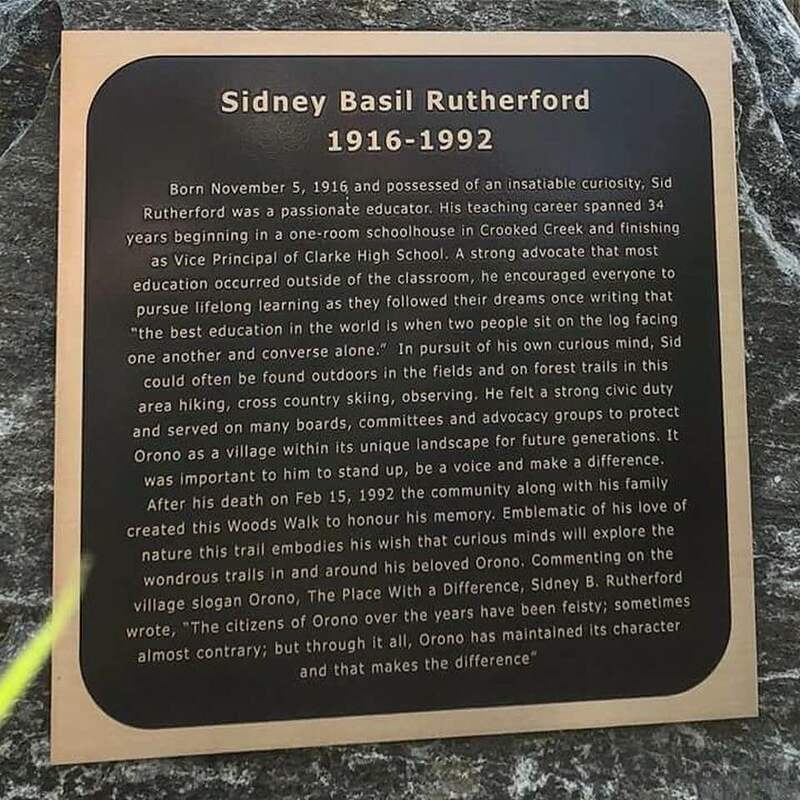 Emblematic of his love of nature, this trail embodies his wish that curious minds will explore the wondrous trails in and around his beloved Orono. I enjoyed the following article and wanted to share it. I posted the link, but in case someday it gets removed (which I hope doesn’t happen, but too often things disappear on the internet), I am copying its content below. If you can access the link, you might also be interested in the comments that follow it.